this week, my role as a college professor and my role as a dance teacher intermingled when one of my university students came to the studio to student teach my dance students. she visited our 10-12 year old jazz class and lead them (and me - i played along too) in warm-ups and exercises to fulfill part of her course requirements. it was a small class that day, but we still had a good time. here are a few photos that our studio director snapped on her phone . 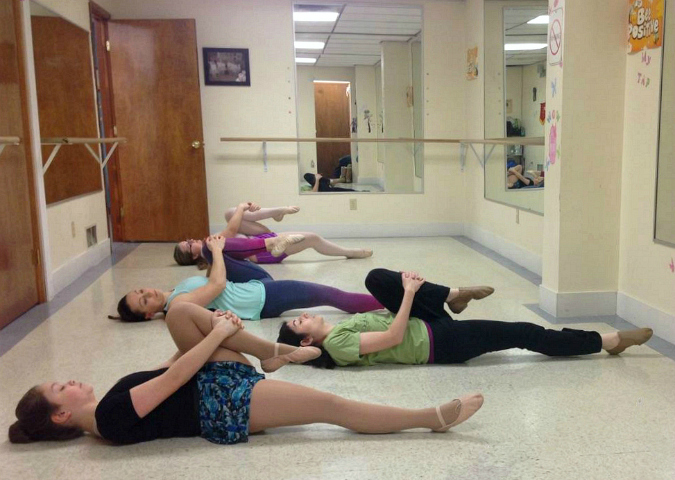 . .
That is different, student teaching in a dance studio. A little break for you.